While most people tend to come to Door County in the summer and fall, Door County is a great place to travel in all 4 seasons. You define your own trip and how you want to spend your time. From shopping to silent sports to arts and theater, Door County has something to offer everyone. 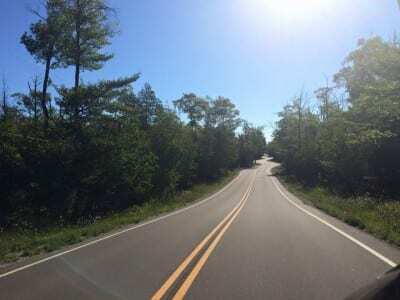 Door County also separates itself from other travel destinations by the amount of information available when planning your trip and while you are here. A great place to start when deciding where to stay, what to do and when to come is www.doorcounty.com. Each village also has their own site that has detailed information about the businesses located there. From Sister Bay to Egg Harbor to Ephraim to Bailey’s Harbor to our own Fish Creek, you can find a multitude of information for planning your trip. You can start by picking your area to stay first or figure out what you want to do. I prefer to pick where to stay. Julie’s Park Cafe & Motel is located in Fish Creek so I think its fitting I explain to you why I think Fish Creek is the perfect area to stay. Fish Creek is located on Hwy 42, the bay side. While others might argue that the hwy 57 side is the way to go, many prefer to be in the middle of the action. Fish Creek and Julie’s do that for you. 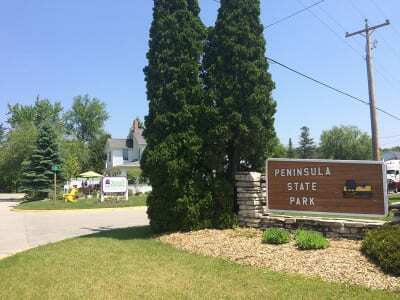 The entrance to beautiful Peninsula State Park is right in our backyard. You have so many things to do within walking distance or a short ride. You can easily spend the day in Fish Creek without having to get out of your car. With shops, restaurants, boat tours, the beach and the park, all within walking distance of Julie’s, its a smart choice for a home-base during your vacation. 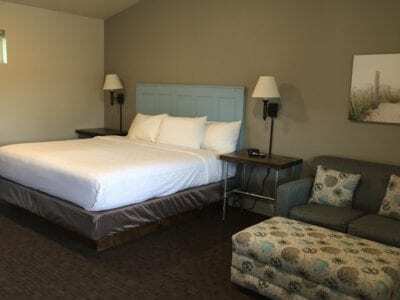 Julie’s Park Motel is also the most recently build lodging facility in the county. I think these all add up to great reasons to stay in Fish Creek. As mentioned before, Door County has so much to offer its visitors. Each village has its own personality and wonderful To Do List. Being surrounded by 298 miles of shoreline, the water is a source of entertainment for all ages. Whether sitting on the beach, taking a scenic boat ride, fishing or floating on a kayak, Lake Michigan is a great source of fun. On shore, the state parks and Ridges Sanctuary offer great hiking trails and a way to get back to nature. Shops and galleries are scattered across the county. Amazing restaurants are to be found in each village. Theaters and restaurants offer fantastic plays and live music. There is an awesome art school in Fish Creek as well as classes offered at The Clearing up in Ellison Bay. You can go zip lining and kayaking. Its hard to even list all the options you have in Door County. Check out the links above and define your own vacation. 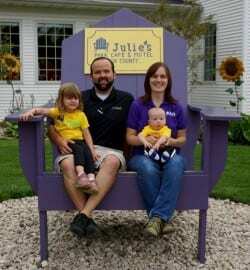 While we would love all of our guest to eat at Julie’s for 3 meals a day, we know that isn’t always practical. We want to offer great ideas of places to go when frolicking around the county. Right across the street from us is a great pizza place, the Wild Tomato. Their GoWild to go building allows you to pick it up and bring it back to your room or you can grab a picnic table behind their restaurant and eat it there. Gibraltar Grill is also within a short walk from us and allows you to dine with your dog as well. Other great restaurants in the area include: Grasses Grill (Sister Bay), Alexanders (Fish Creek), Chop (Sister Bay), Chives (Bailey’s Harbor) and many more.